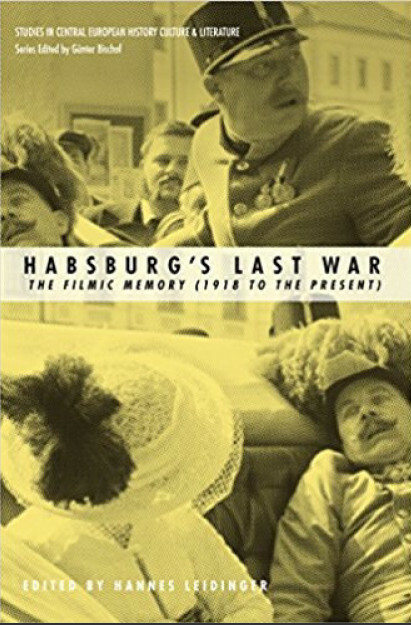 A divergent survey of scholarship on World War I cinema produced in succession countries of the Habsburg Empire. This untapped body of film records a contentious phase in world history, from the perspective of an often misunderstood, yet pivotal, region. The volume gathers scholarly essays exploring the intersections between the political, historical, and aesthetic, as expressed in the region´s various „moving pictures,“ with sustained attention to the relationship between artistic representation and collective memory. Mit Beiträgen von: Karin Almasy, Thomas Ballhausen, Günter Bischof, Francesco Bono, Enikö Dácz, László Deák-Sárosi, Aleksandar Erdeljanović, Márton Kurutz, Hannes Leidinger, Verena Moritz, Karin Moser, Václav Šmidrkal, Philipp Stiasny, Piotr Szlanta. Weitere Informationen können dem Inhaltsverzeichnis (PDF) entnommen werden.